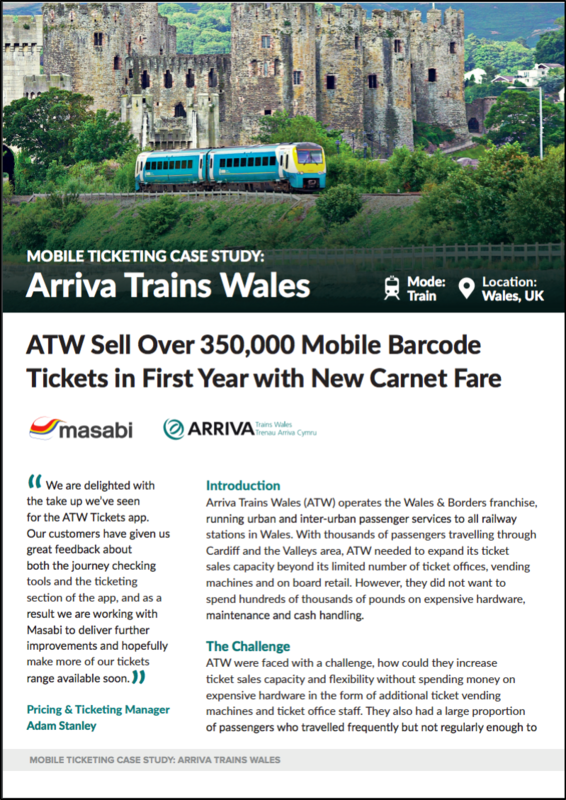 Arriva Trains Wales (ATW) were looking to increase the number of semi-regular passengers using their services and expand ticketing capacity. The answer - The AWARD WINNING Mobile Multi-Flex. Increase semi-regular passenger numbers with award winning carnet fare. Sell 350,000 mobile tickets in first year.